As soon as I visited Gozo and met the fantastic team here I was confident this would be a popular holiday. 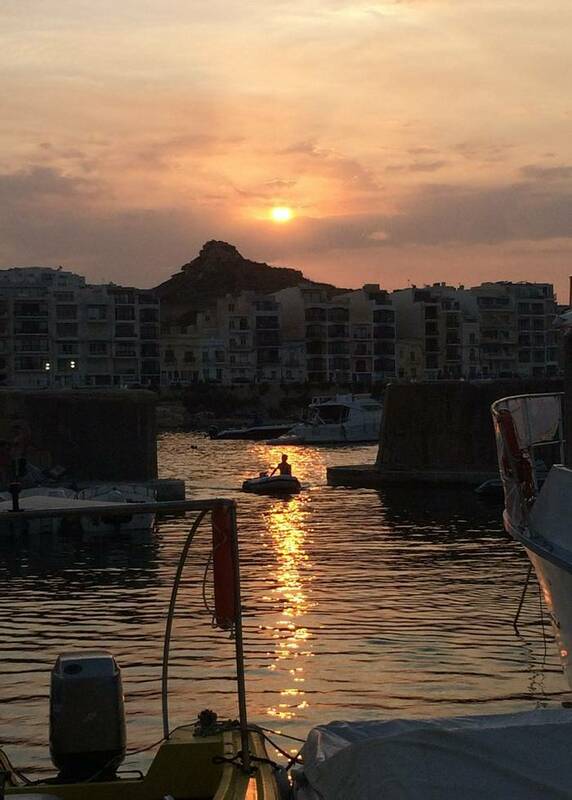 The gushing praise for Gozo from clients who visit each year is well deserved and easy to understand. The local people here are very proud of their fascinating local heritage and welcome their guests with open arms; the activities are great fun and the local cuisine is delicious! * Please note: an additional lunch is included during the Mini B diving activity (June, July and August). Departures outside these dates include 3 lunches. ** Please note: Mini-B diving is included in June, July and August. 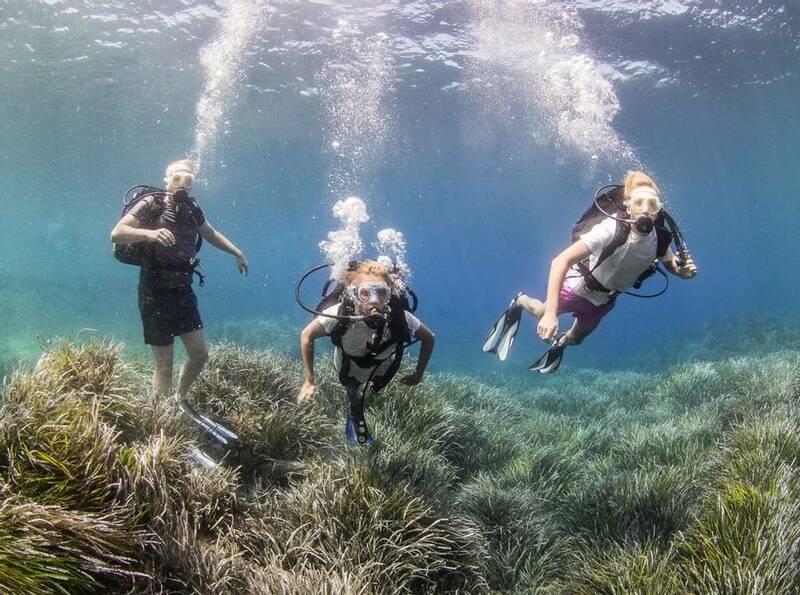 For safety reasons, those under the age of 10 years old will have the opportunity to snorkel on the surface of the water and view the same vibrant marine life as the other members of the group. For children 10 years and over participation in Mini B diving will be at the guides discretion. 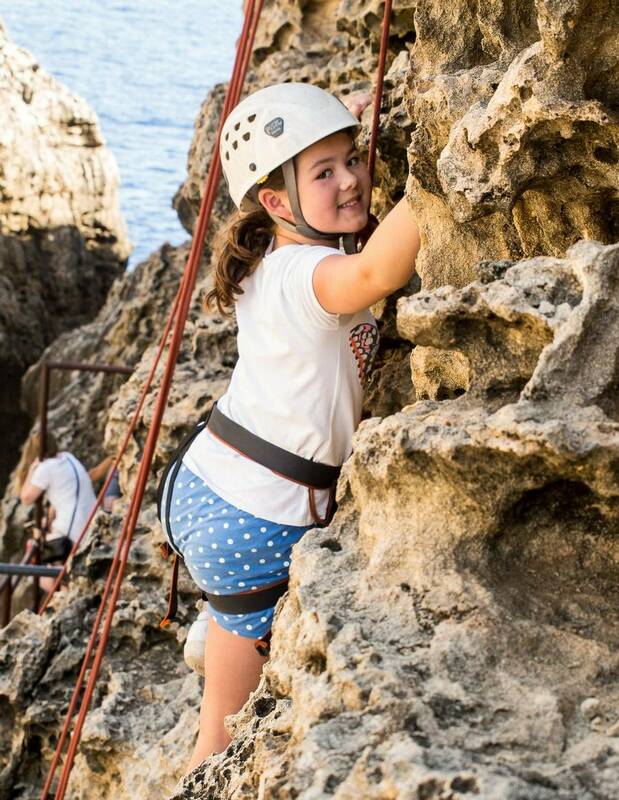 The island of Gozo is a little-known Mediterranean wonder that is home to one of our most popular family adventures. Just half an hour from Malta by ferry, it showcases an extraordinary natural environment ideal for an activity-filled week away. We have made the most of our local connections and expertise to find the very best locations and activities in and around the island. With group sizes of no more than 24, you will enjoy a highly personalised experience. All activities are included in the holiday price. 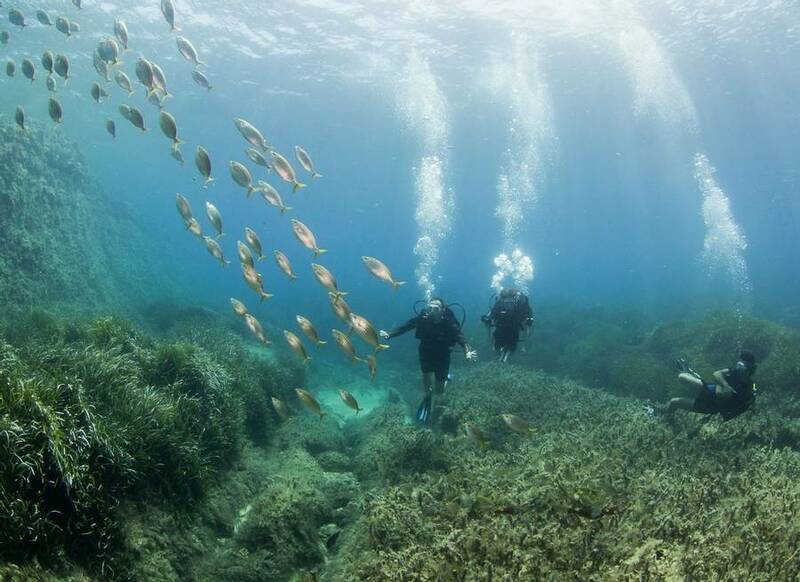 You’ll have a guided boat trip around the picturesque coast, with the chance to go snorkelling and Mini B diving at some of the top scuba sites in Europe. 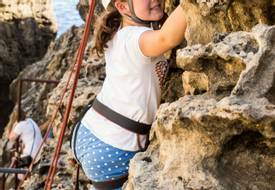 The Gozitan cliffs offer excellent spots for rock climbing, while its many inlets are perfect for kayaking trips, both of which will be on the agenda during your stay. 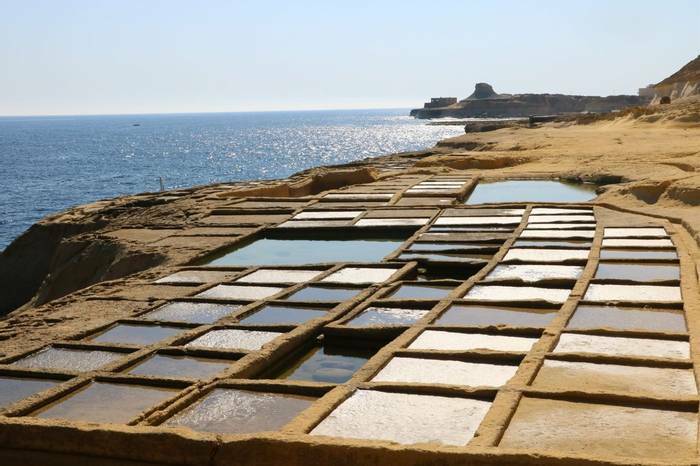 Based in the north-eastern village of Xaghra, you will be close to the UNESCO World Heritage Site of the Ġgantija Temples, which at 5500 years old are amongst the world’s oldest freestanding structures. 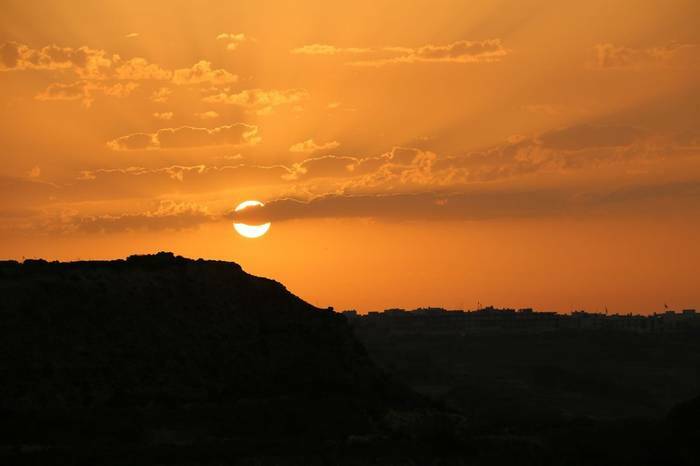 Gozo has been occupied by everyone from the Ancient Romans and the Arabs to the French and the British, with evidence of this rich history very much present in its lifestyle, language, and cuisine. The week will be filled with opportunities to learn more about the local way of life first-hand, whether sampling crafts or tasting island delicacies. This makes it ideal for families looking for that perfect mix of activities and culture. Based at the rustic and welcoming Cornucopia Hotel, you will be within easy walking distance of the main town and will be able to make use of the hotel’s facilities, including its sun-soaked terrace and swimming pool. Following a warm welcome at the airport, you will be transferred to your accommodation (it takes approximately two hours with a 25-minute ferry crossing between Malta and Gozo). After you are settled into the charming Cornucopia Hotel, a guide will ensure you are fully informed about the week ahead, providing details on activities and equipment and answering any questions you may have about the local region. A welcome dinner at the hotel restaurant will then introduce you to some local delicacies. A full day of aquatic action lies ahead! You will begin with a guided boat tour to familiarise you with the splendid coastlines and awe-inspiring cliff formations of Gozo and its smaller neighbour, Comino. This tiny island is virtually uninhabited and is populated with an array of wildlife as well as being home to the famed blue lagoon – an idyllic bay with aquamarine waters and white sand. There will be multiple stops for snorkelling and swimming, with a picnic lunch served on board. The boat trip normally lasts around 6 hours in total. The vantage point of the boat allows you to appreciate the ancient beauty of the island, taking in its secluded bays and rugged coastline. This is a wonderful start to your family adventure. Our close ties with the local community enable us to take you off the beaten track and straight into the heart of everyday island life. Watch craftspeople following time-old trades and keeping cherished practices alive. Visit special food producers and try their delicious creations. 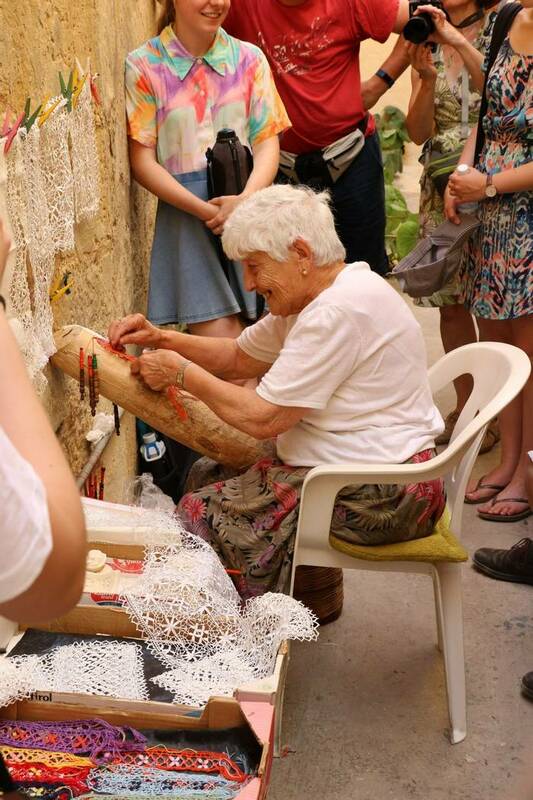 The Eco Day is an Activities Abroad favourite – we won’t say too much about what’s involved as we prefer it to remain a surprise for your family, but rest assured that your experience of Gozitan culture will be unforgettable. Lunch and dinner are included and are sure to feature some local delicacies. This is another full day where families are normally out for around 6 hours. 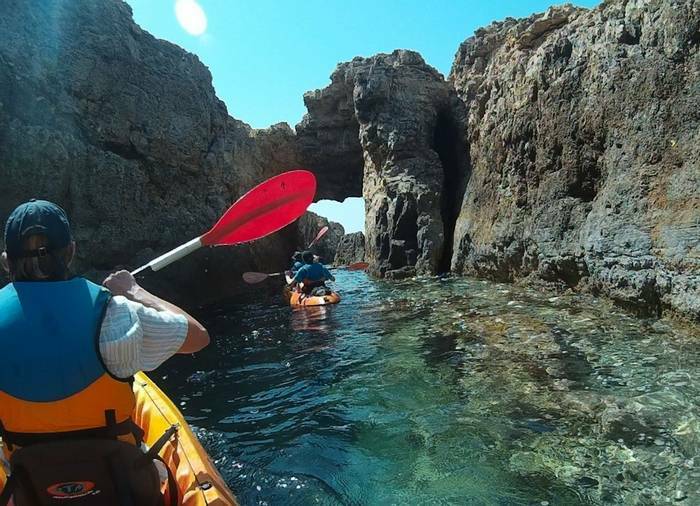 Gozo’s coastline is irresistible, and once more you will be back out on the water, kayaking through stunning waterways and rock arches. Following your guide along the coast, you will paddle your ‘sit on top’ kayaks with two to three people (children under the age of ten will travel with two adults) per craft. You will be picked up from the hotel just after 9am and families are normally dropped off after the whole day’s adventures just after 4pm. There will also be the opportunity to take to the sea again for snorkelling, or to relax at Santa Marija bay and explore its caves. All will be treated to a picnic-style lunch during your activity, as well as a delicious barbeque dinner back at the hotel. Today has been left free for you to set your own agenda. 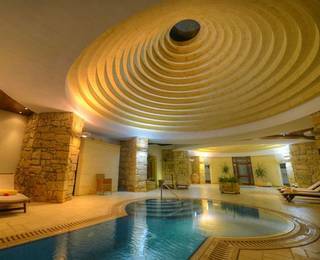 Relax by the pool and enjoy the sunshine or pamper yourself in one of Gozo’s spas. 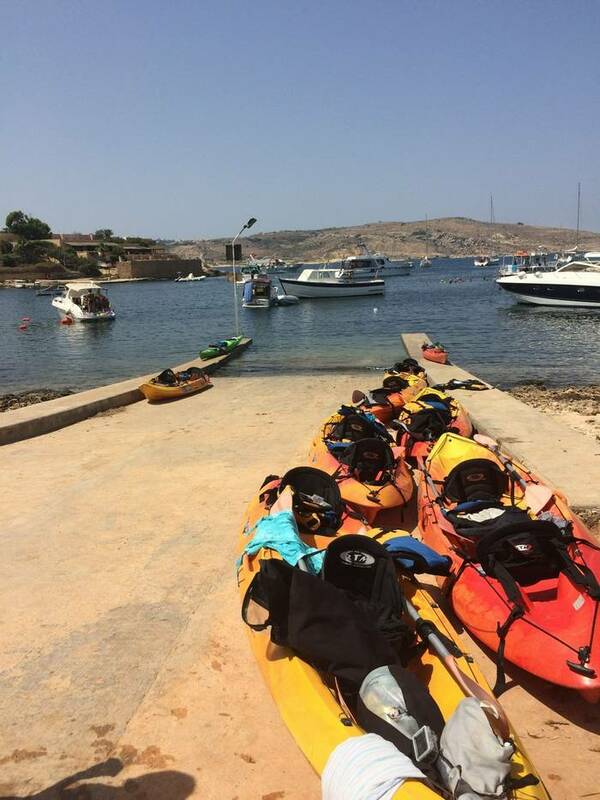 Gozo’s inviting waters may call you for extra kayaking action or scuba diving which can be booked locally. Those wanting to absorb more island culture can wander around the town of Xaghra with its rustic stone buildings and delightful shops selling locally made goods – you can also take a horse-drawn carriage tour in the evening. An inexpensive hop-on, hop-off bus service can get you quickly around the island should you wish to travel further, taking in more of the island's natural beauty and historic delights. Mini B diving is an ideal introduction to the world under-the-sea with no need for wetsuits or PADI certificates, only a doctor's certificate is needed. You will be using a hassle-free scuba rucksack which goes over your swimwear and will be given a solid grounding in safety skills during the first half of the day, putting your new skills to great use in the afternoon. Depending on how much air you use, each dive has a duration of around 15 minutes – plenty of time for underwater thrills! 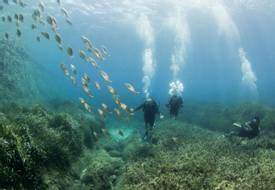 Please note: Diving is not included in the March, April or October departure date. 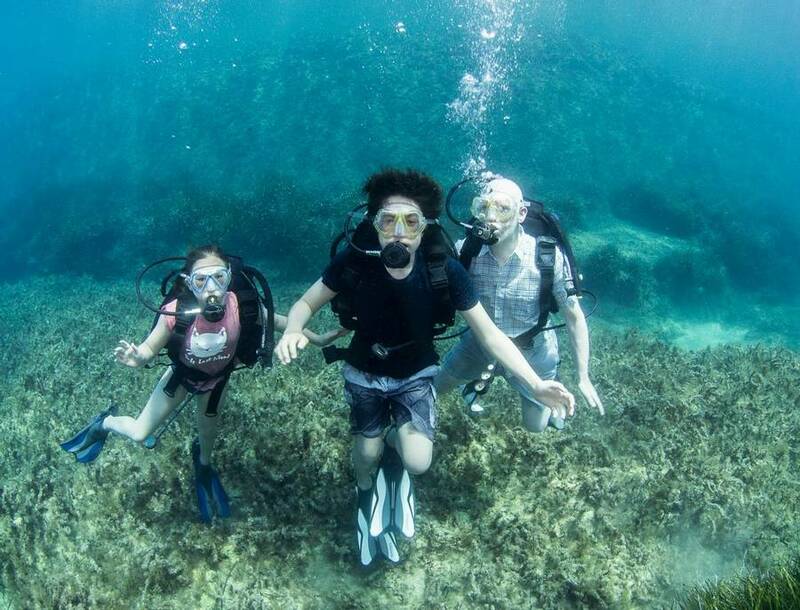 For safety reasons those under the age of 10 years old will have the opportunity to snorkel on the surface of the water and view the same vibrant marine life as the other members of the group. For children 10 years and over participation in Mini B diving will be at the guides discretion. After your exciting morning, the group will be transferred to the beautiful Ramla Bay Beach for some free time to explore and relax. You can spend the afternoon enjoying the beach, the cooling Mediterranean Sea and some of the beachside cafes and shops. Those who rather would like to relax in the hotel will be transferred to the accommodation. Dinner will be served a restaurant by the sea, with the opportunity for fresh seafood caught by the Gozitan fishermen. Airport transfers will be arranged depending on your individual flight plans, and breakfast will be included at the hotel. If you are tempted to stay on for another week please speak to our Travel Experts. Cornucopia Hotel is a locally-owned, converted farmhouse which serves as a rustic and welcoming base for your time exploring this remarkable island. The hotel is less than 15 minutes’ walk to the traditional village square of Xaghra where families can make use of the selection of restaurants and small shops. Decorated in traditional Gozitan style from the limestone walls to the arched restaurant, it has a traditional feel and a wonderfully relaxed atmosphere. There are 20 standard rooms in total, decorated in a simple rustic style and offering either a pool or valley view. All rooms have a balcony or terrace, en-suite bathroom, minibar, TV, hairdryer and air-conditioning. Located across the very quiet road from the main hotel building, the Cornucopia also offers a small number of bungalows which families can upgrade to. These offer the chance for a bit more space and privacy, whilst still being within a few short steps from the hotel and its amenities. 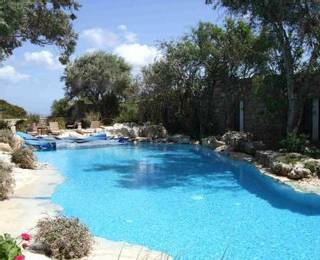 Very comfortable and traditionally decorated, they are popular amongst families on our Gozo trip. 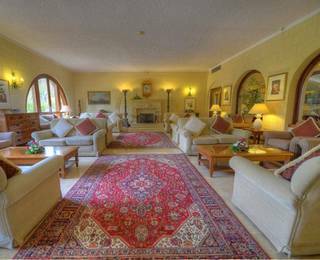 Each offers wonderful views across the valley and consists of a main dining area, kitchen and between one and three bedrooms (they can accommodate families of varying sizes). The bungalows also have the advantage of a communal swimming pool and terrace for guests and are in an ideal spot for you to relax and enjoy the sunshine after a day’s adventure. All of the bungalows are equipped with air-conditioning for guests’ comfort. 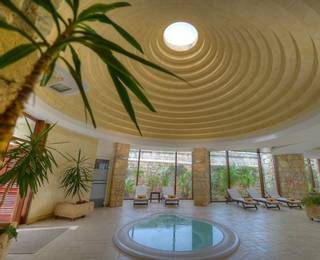 During your stay on Gozo, you may wish to upgrade the Ta' Cenc Spa hotel. Sat on the outskirts of the village and built on the island’s highest point, the hotel offers stunning views of the islands of Malta and Comino. 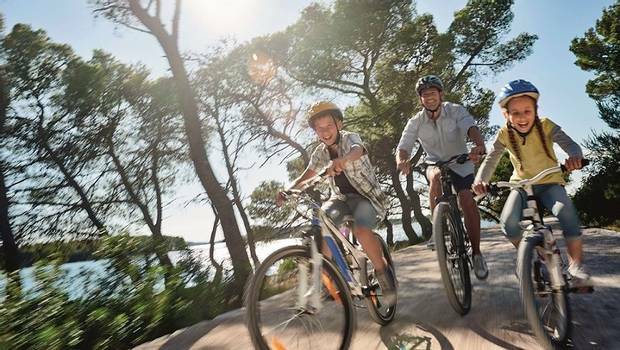 Over 100 hectares of nature surround the hotel, offering a fantastic opportunity for families to explore the area and enjoy the local nature. 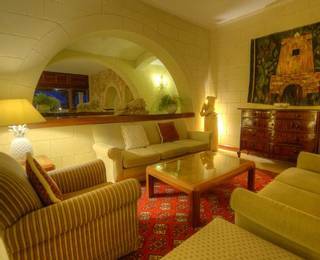 The hotel is a hideaway resort known for its comfort, family-friendly service, welcoming staff and bustling Gozitan atmosphere. General use of the pool is included for the whole stay for both adults and children, so the kids can have a splash about while parents relax by the poolside. 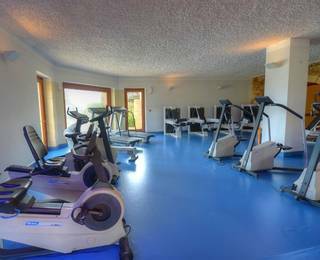 Jacuzzi, steam room, sauna and gym use is also included, for both adults and children (children allowed from 9 am – 12 noon). Two restaurants: In the Il-Carubo they serve breakfast, lunch and dinner and you can eat ‘al fresco’ under a 400-year old carob tree. Italian-inspired food and local specialities are served here. The Il-Terrazzo is known for its delicious dishes and has a spacious terrace overlooking superb views of Gozo. Double/Twin rooms: all of the room are on the ground level. They are spacious and have either a private patio or a terrace. Facilities include an en-suite bathroom, hairdryer, telephone, radio, cable TV, minibar, trouser press, a safe, heating and air-conditioning as well as teas and coffee making facilities. Family rooms: these rooms are specially designed for families and offer enough space for everyone. There is a main bedroom with a seating area and a second room with two single beds. Each has either a patio or a terrace. The facilities include an en-suite bathroom, hairdryer, telephone, radio & cable TV, minibar, a trouser press, a safe, heating & air-conditioning as well as tea and coffee making facilities. Trullo: these detached bungalows are circular and offer a unique place to stay. Each Trullo has a beehive style roof, a spacious seating area with a cable TV, an en-suite bathroom, hairdryer, telephone & radio, minibar, a trouser press, heating and air-conditioning, a safe and private patio. Please note: Mini B diving is only included during June, July and August. Eco Tax: those aged 18 years and over must pay an Eco Tax of €0.50 per person per night (not exceeding the threshold of €5.00 per person). This must be paid locally. You can make a pre-reservation to secure your holiday at this stage by paying an initial deposit of only £50pp. The provisional departure dates, prices and itineraries remain subject to change. We will contact you when the final dates, prices and itineraries are confirmed, and you will have 14 days to decide if you would like to go ahead. A further deposit payment of £250pp is due by 01 February 2020 or at the time of us confirming the trip details to you, whichever is sooner. If you decide not to travel, we will refund your initial £50pp payment. Our Travel Experts will happily provide you with full terms and a complete quotation. If you would like a bungalow upgrade please contact our Travel Experts for a quotation. Mini-B diving is included in June, July and August. 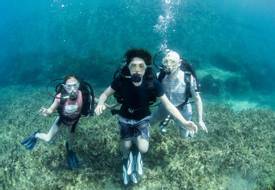 For safety reasons, those under the age of 10 years old will have the opportunity to snorkel on the surface of the water and view the same vibrant marine life as the other members of the group. For children 10 years and over participation in Mini-B diving will be at the guides discretion. Outside these months, Mini-B diving will depend on local weather conditions and, if it is possible, our local suppliers will offer it to guests and a local payment of €35pp will be applicable. Read more enjoyable for more experienced members of the group. The guides will tailor things to your ability. We had a great but small group and it worked really well. Excellent - would highly recommend the holiday. Activities Abroad really knew the holiday so helped with our questions beforehand. 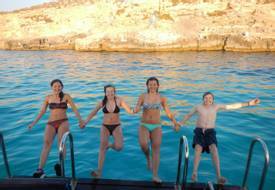 The local hosts are English and French and know Gozo inside out and are extremely well organised and helpful. We were split between the Lazy Boat Day and the Paddle Boarding that we did on our free day. Both were such good fun and we felt really well looked after. 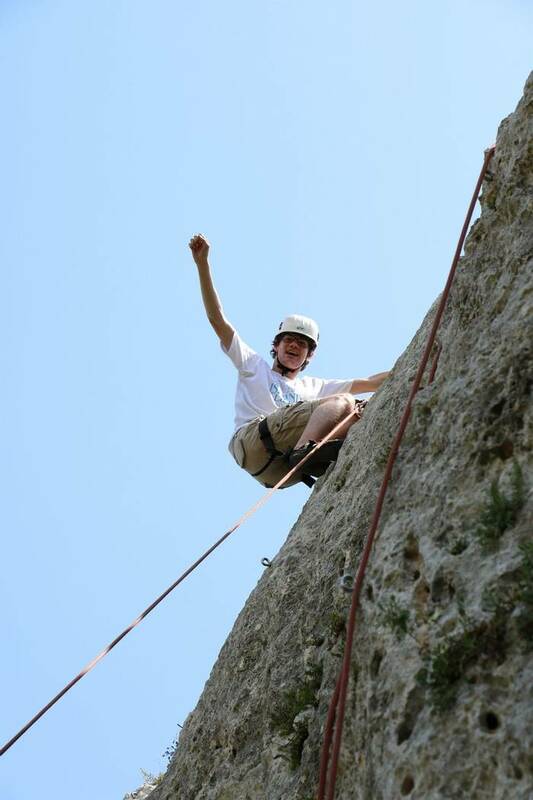 We all loved the Eco Day, the climbing, the snorkelling, Mini B diving and the Kayaking too. So difficult to choose a favourite. My children enjoyed the snorkelling best of all. The instructors were great and the location was beautiful. The boat day was great too. Thank you to Cornil for making us feel safe and being a contact at any time for anything. Thank you to Michael for kayaking, Albert on the boat for being discreet, Alice for looking after Iona when she was stung by a jellyfish and for taking some pictures of us when our gopro died and Dee-dee for encouraging Patrick when climbing. We will be back! The sea kayaking was fun, great guides and a brilliant way to explore. Read more what an absolutely brilliant time we had. Everything went so smoothly and was great fun we were really sad when we had to come home! Read more to our needs. Thank you for a holiday that will live long in our memories. Read more activity in your program. ? We did this during our extended stay which Cornil so kindly helped us to arrange and it was great and very achievable thing to do. We also had a great half day with Mark (who assisted Cornil on the Eco day). We went on a tour with him on our last day to so many different parts of the island. Mark has such a great passion and knowledge of the island, (and is) fantastic with the children too. I will now be saving up for next year and look forward to seeing what other holidays you offer. Thanks again for another great holiday. Read more holidays ever. We'd just like exactly the same somewhere else next year, please! Read more day - diving into the water from the boat was magical. All - Ricardu the farmer and restaurant owner - we are farmers and our time with a local farmer was really welcome. Fantastic holiday. Activity suppliers on Gozo were amazing. All very happy! Diving... sea kayaking...rock climbing. Very satisfied and happy. Read more instructors were brilliant at teaching us new things and instilling confidence. Cornil was always on hand for any questions - nothing was too much trouble. Pete and the adorable Bob added greatly to our enjoyment of the holiday. There were lots of different things organised and all were enjoyable. Cornil was an excellent guide both on our eco day and in fact generally an all round really helpful chap. He sorted out our car hire for us and ensured that any queries we had were dealt with promptly. We had a great holiday and are already looking to book another one with you for next year. We are back home now after having a fantastic holiday. We had a brilliant 2 weeks. We were very impressed with the organisation and the activities, everything ran smoothly and Cornil and his team couldn’t do enough for us. The hotel was lovely, staff really friendly and helpful. Gozo is a lovely island and we hope to return again soon. We had a fun packed holiday, meeting other families of like minds. As a team we were encouraged and challenged to join in activities we would otherwise shy away from.The island had a great atmosphere, full of festivities around the island celebrating Saints days and life! Read more good team.The Lazy day boat trip and snorkelling was an excellent introduction. 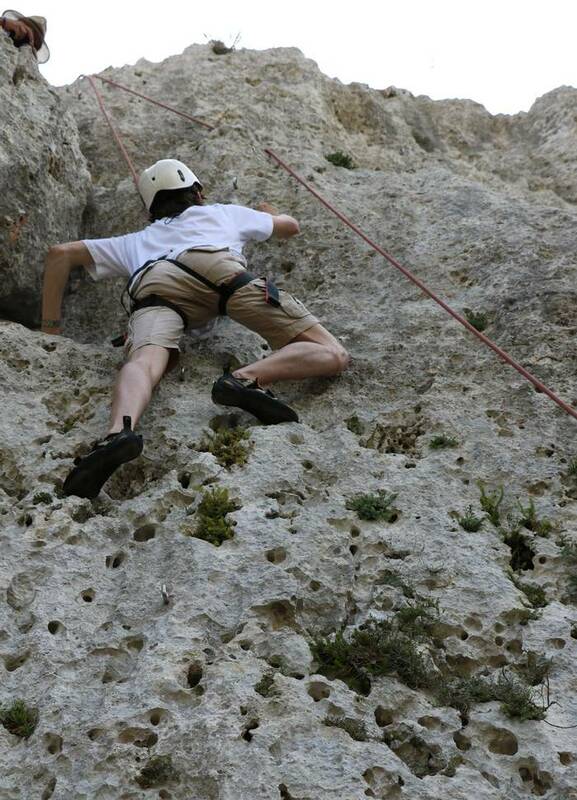 We very much enjoyed all the activities made special by the Gozo Adventures team, in particular, Mark who was great with our boys. The final Eco day was a real treat and we felt we had some insight into Gozo that most other tourists would not get.It was a shame we were the only family booked on the holiday for the week we went as we were hoping to have some company for our teens. However, all the instructors and activity staff made us feel very special and gave us an individual experience.A fantastic week. The best holiday I have had for a long time. Read more were met. Gozo is a lovely, friendly island and I would recommend this holiday. This has been our best family holiday, no question. 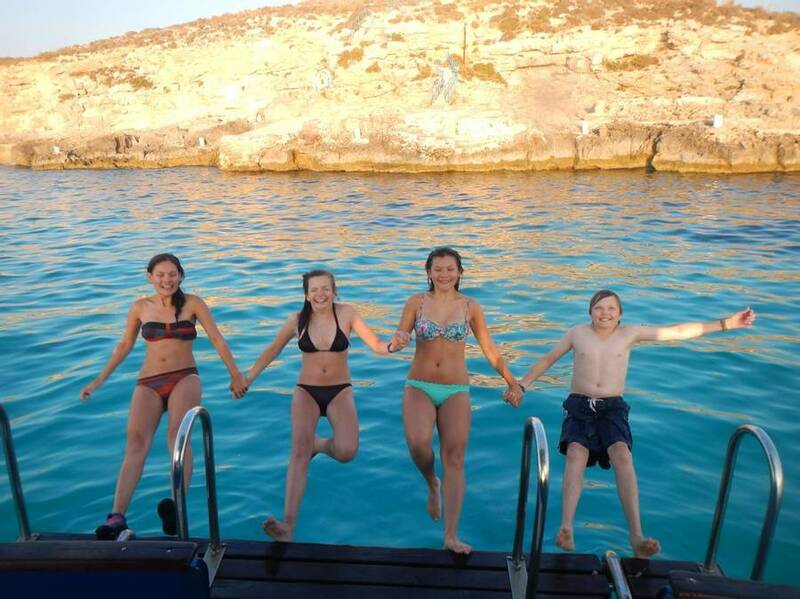 We had such fun, faced stiff challenges, relaxed and completely fell in love with Gozo. The activity staff were terrific - Mark, Sebastian, Steve and Xavier all worked really hard to show us the very best of the island. We felt completely privileged to see the island this way - not the mass produced way! Read more mix of ages on this Teen holiday was absolutely right. We were also so lucky to have a group of 22 people who all got on so well together. It made such a difference and, along with the weather, isn't something that you can do much about! Read more really not tempted to do so, it seemed much busier and more 'touristy'.